A closer view of the cathedral. Behind it and to the left is the archaeological site and museum on the Aztec's Templo Mayor, whose stones were recycled by the Spanish into buildings including the cathedral. 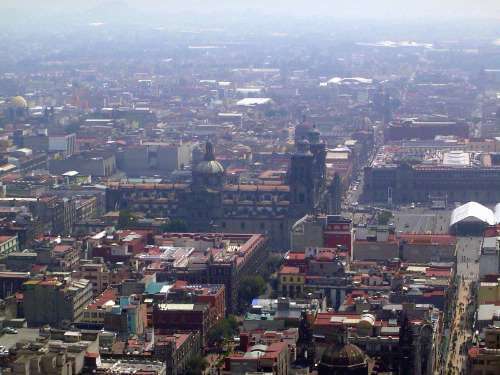 On the far side of the Zócalo is the National Palace, once the viceroy's palace and built on land bought from the Cortés family. It says a lot about the balance of power in colonial Mexico that the cathedral was so much grander than the viceroy's palace.